In the last two decades the borough of Brooklyn in New York City has become a byword for all things cool, trendy and hipster. Back in 1998 I remember wondering why David Beckham would hole up with Victoria in Brooklyn. We know he did because they named their son conceived at the time, Brooklyn. Of course, the Beckhams were ahead of the trend. Of course. The trendiness of Brooklyn has become a generational divide I fear. For example, I don’t understand the hit TV show, Girls, the story of a group of 20-something college grads living in Brooklyn. When I graduated from college, the equivalent neighbourhood would have been Yorkville on the Upper East Side. Most of Brooklyn was still a no go area. We had a friend who lived in Brooklyn Heights but he was considered particularly adventurous. Brooklyn had its ethnic enclaves occasionally marred by fighting such as the Crown Heights incidents where the Jewish-Americans and African-Americans went to war. Many neighbourhoods were known for their strong single ethnic identity, such as Bay Ridge which was deep in the heart of Saturday Night Fever country. You were in Brooklyn because you either grew up there, wanted to score drugs or worked for the Mafia. Nice Indian girls from Westchester like me did not venture into Brooklyn in the 1980’s. As far as I’m concerned, Brooklyn still seems like a foreign country. This past December I took my kids on a pizza tour of Brooklyn. Great Italian food (especially pizza) is a given in Italian neighbourhoods. Before we ventured into the new trendy heart of Brooklyn, I figured we’d see the old neighbourhoods first. I love pizza. I could live on pizza. I considered pizza the food of the gods. Nothing says comfort food to me more than a slice of New York pizza, warm fresh out of the oven, dripping in tomato sauce and smothered in cheese. My children likewise have a love of pizza. The pizza tour of Brooklyn organised by A Slice of Brooklyn is highly convenient because it leaves from Union Square in Manhattan. Let’s face it, I know nothing about Brooklyn so I was ready to be fed, watered and go into a carbohydrate coma with the minimum of effort on my part. We were on a coach which was nearly full of Australians. I was a little surprised but apparently Australians love pizza. The tour introduces you to the two different types of New York pizza – Napolitano which is the thin-crust triangle shaped slices most commonly served and Siciliano which is rectangular and on thick-crusted bread. We tried the Napolitano thin crust pizza at Grimaldi’s located underneath the Brooklyn Bridge in a grand old building which used to be a bank. It’s been consistently voted the best pizza in New York City for several years. The secret? Fresh ingredients and a coal-fired brick oven produce pizza that you don’t want to desecrate with any additional toppings. We went for the Sicilian style pizza at L&B Spumoni Gardens located in Bensonhurst which is practically on the opposite side of the borough. Thank goodness for the luxury coach and the interesting patter of local info and trivia from the tour guide. I have never liked Sicilian pizza because one bite and practically the whole layer of cheese slides off the pizza into your mouth. You wind up eating the rest of the slice as a piece of bread with some remnants of tomato sauce on it. Apparently, the Sicilian pizzas at all those other pizzerias have been doing it wrong. First of all, you need proper focaccia bread (not just more regular pizza bread). Then, you should put the cheese on first and then the tomato sauce so you don’t get the cheese sliding off. Simple! Genius! What was our favourite? My daughter loved the Sicilian slice and my son loved the Napolitano version. If I had to choose, I’d go with the Grimaldi’s slice. Less bread means you can eat more pizza! Our tour group was equally split on their preferences. In addition to the pizza, the tour with A Slice of Brooklyn also takes you to see Coney Island, a historical boardwalk and amusement park in Brooklyn which is slowly becoming gentrified. The pizza tour departs daily at 11 AM from Union Square in Manhattan and lasts approximately 5 hours. The cost is $80 per adult and $70 for children under the age of 12. My children and I were hosted by A Slice of Brooklyn Tours. Note from Brenda: We really miss a great NY pizza during our travels, nothing really compares to a great NY pizza. This post made me very hungry, you? 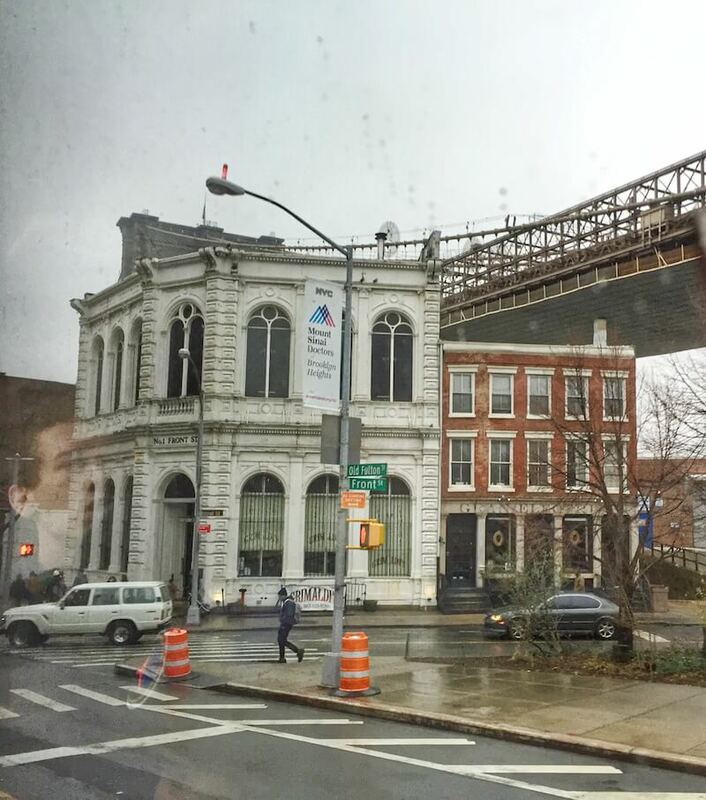 Have you tried these 2 places in Brooklyn? 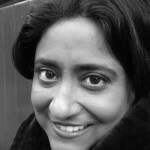 Shobha George’s brief bio: My family and I love to travel, to learn more about different countries and to experience new cultures. We also like our hotels, good food and other comforts. Join us on our adventures! Also follow Shobha and her family on her blog: JustGoPlaces, Instagram and Facebook. Pizza tour…that sounds like a great time! This post brought back some great memories of pizza tasting in New York…I can’t wait to go back someday. Amanda, it’s really a dish we miss most from NYC. Thank you for reading! I feel like finding the perfect pizza anywhere in New York would be such a mission….and drama. AHAH I am hungry now tho…..Id love to try a proper deep dish one day….but thats Chicago right? It’s not that hard, Kimberly. There are so many great pizzerias in NYC. Deep dish is Chicago, in which I’ve never had so it’s a dish I still have to travel for. I have seen Grimaldi’s so many times on TV and travel shows, nice to see some other options for Brooklyn pizza. I think Brooklyn has some great food offerings and love taking the subway over just to get my “Saturday Night Fever” fix. 😉 Your pictures are killing me..so hungry!! Aren’t @JustGoPlaces’s pictures just so luscious! It really brings out how delicious New York pizzas are. Thank you for reading, Melody. Bwahaha yikes! ‘You were in Brooklyn because you either grew up there, wanted to score drugs or worked for the Mafia’. Sounds like what Brixton used to be like in London! Thanks for making super hungry and learning how to stop that cheese from sliding off my pizza! That is really true, Alice, I know because I was a teen in the 80’s and that was not a proper place for us, now the rich and the hipsters have completely taken over and is more expensive than Manhattan! Haha, I heard that about Brixton too, did you know that it’s the only place that Rick Steves was ever mugged? I wonder how Brixton is like now? They both sound delicious but I’d love to try out even MORE pizza places- yep, I’m greedy. With so many restaurateurs relocating to Brooklyn for the cheap rent (and the hipsters) I bet there’s a lot of funky new pizza places that take the classic pie in a different direction. Vanessa, you will have no shortage of great pizzas to try in all 5 boroughs of New York. It’s perfect for greedy eaters – haha! Hope you visit soon and thank you for reading! A pizza tour of Brooklyn sounds amazing! I would love to do that. All the pizzas look so different. We did our own pizza quest around Seattle a few months back and were surprised by the differences of the pizzas and even which one came out the winner! Huh, I wonder how the pizza in Seattle compares to the ones in New York? Will have to make a trip to find out soon. Thank you for reading, Laura. I love pizza – and I love NYC and am well overdue a visit. Sounds like this should be on my list! It’s definitely time for a visit, Fiona! Pizza is the one food that I could eat for every meal of the day. It’s my favorite food. The Napolitano thin crust pizza looks like my kind of dream slice. It’s not my favorite dish but it’s high on my list of favorites. I ate pizza at least once a week back home. The thin crust is also my favorite type. Thanks for reading, Lesley. I love pizza, who doesn’t and did love NY pizza too. The slices were so big. I will add these places to my list when we go to Brooklyn, which we didn’t get a chance to explore. Glad you were able to find some good pizza during your visit to NYC. Yes, must head to Brooklyn next time, Paula. Thank you for reading! What a fun tour to do. I’ve eaten pizza in New York before and I can attest to its great taste. I think it’s probably the best in the world, even better than in Italy. We completely agree!!! New Yorkers, I think, as a whole think we make the best pizzas in the world. Even better than Italy! I love pizza too, this looks like a really fun tour to do in Brooklyn and I would definitely love enjoying the different pizza in the area.